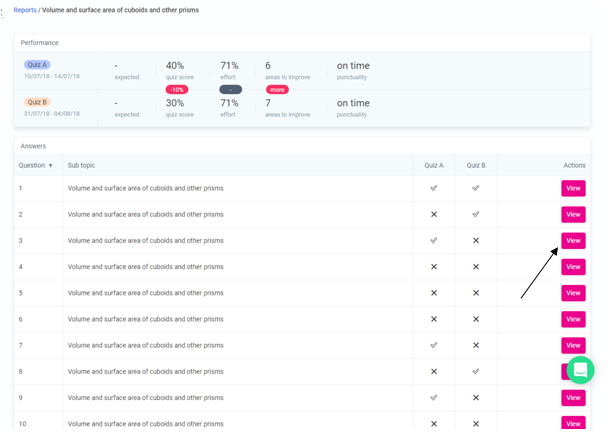 How to view your child's quizzes, what the parent report consist of and how it will be beneficial to your child's progress in learning. Every parent cares about their child's education; Eedi gives you the insights and tools to help. To keep up with your child's progress in Maths and encourage them to overcome misconceptions by working on their weaker areas; You will have access to reports, giving results on each quiz your child has taken. Please follow the below steps in how to get the most out of the reports section on Eedi. This outlines at a glance, the topic and the results for Quiz A & Quiz B of a topic. 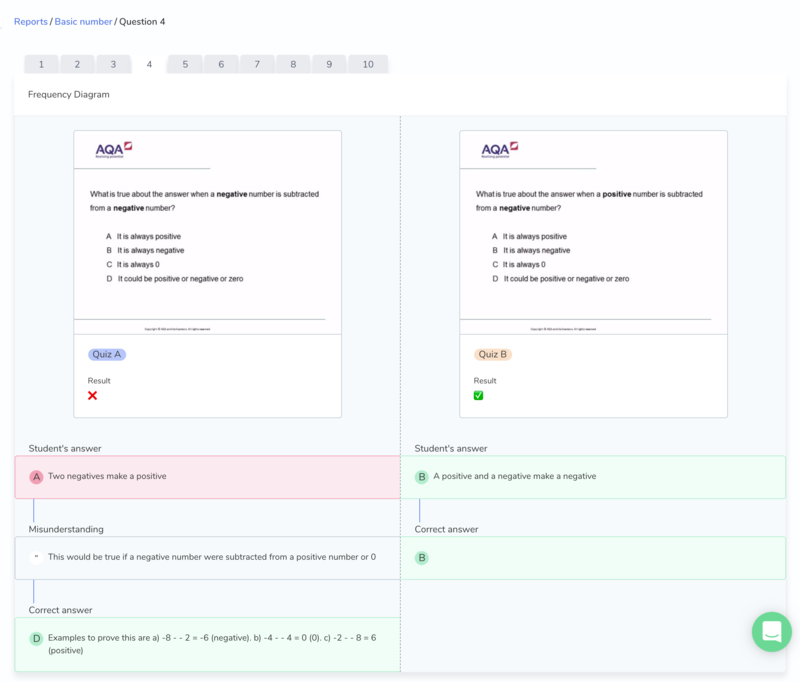 Overview: Correct and Incorrect answers, question by question, at a glance. 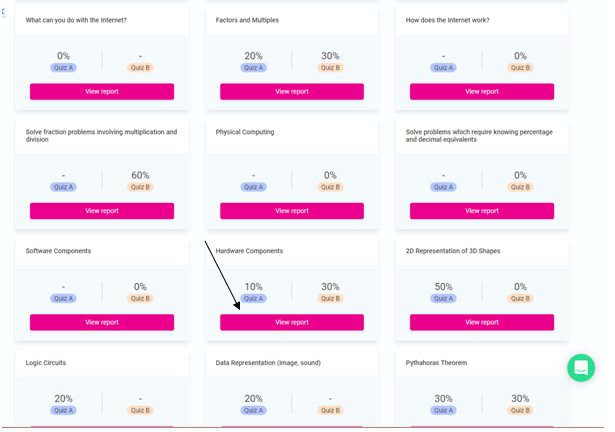 You can click through the questions to view all of the answers within one topic.